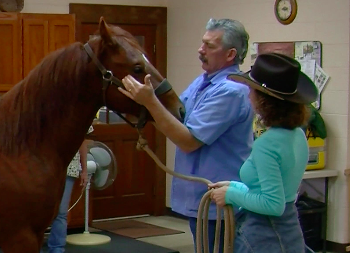 This is an interesting episode because it is about all the ‘other’ stuff that can come up during horse training. When do you take a horse to the vet? When do they need to see a dentist? What about chiropractic or acupuncture? This episode contains a glimpse into how I make these decisions. At this point Jac has been in training with me for about six weeks and I know him fairly well. Jac was introduced to wearing the bit six hours into his training. If you watch the videos (Episode 18) you will see that overall his mouth is very quite, not chomping or chewing on the bit. Any earlier chewing was consistent with a colt getting used to the bit and went away in a normal time frame. At over 22 hours in training he showed his first sign of discomfort by grinding his teeth. He did not do it consistently and it was very subtle but it was there. No chomping, just the occasional noise. Our equine dentist was out of town. I love our regular equine dentist because he is a specialist. He comes through twice a year and has seen just about everything and has a tool for it all. But because Jac was uncomfortable I wanted to take him sooner. Plus, I had been wondering about the way that Jac carried his head when lunging. Jac’s symptoms could also be more than just teeth which is why I wanted to go to someone with an open mind; a vet who also does chiropractic and acupuncture. Dr. Luckenbill checked Jac over thoroughly including; straight line trotting, chiropractic evaluation; jaw, teeth, muscles, motion palpation, chiropractic adjustment, removal of wolf teeth and floating (removing sharp edges) of Jac’s sharp teeth. Dr. Luckenbill didn’t see a need for acupuncture with Jac. The BEST part is that it worked. Jac now has over ninety hours of training and the teeth grinding has not reappeared. A special thanks to Dr. Luckenbill at The Pony Express Veterinary Hospital for allowing us to video and for helping Jac. Thank you so much for sharing this. 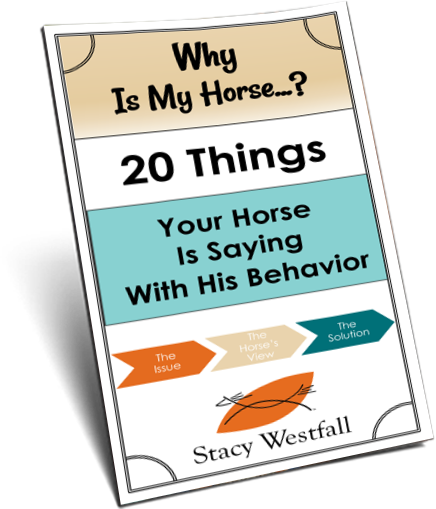 Can’t stress enough how important it is to check for all these things and for folks to pay attention to the horses language. Wolfe Teeth can get you in trouble if we don’t listen. 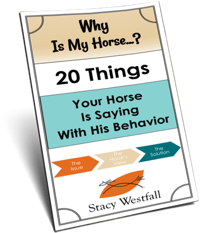 My experience was with a five year old Paso Fino that was about to kill his owner because they continued to ride him with a bit and had some scary situations out on the trail and at home. So, I purchased the horse for a dollar and the first thing I did was look him over and at his teeth. Sure enough he had his Wolfe teeth still. I then took everything off of him and started from the beginning and ended up using a rope hackamore he was wonderful, very sensitive and awesome to ride and work around. No head tossing, dancing around like a mad man etc. Thanks again for showing this video. I have truly enjoyed watching all of these episodes. They are very informative. I do have to say I laughed when I saw you loping Jac after only 21 hours. The reason I laugh is because I have been working on slowing down my horse Hildy for several years and here you are at 21 hours with a nice lope–I know you are a professional but you make it look way to easy! I have my dogs adjusted regularly, but I am amazed to see it done for a horse. Thinking back to all your desensitizing with the tarp, pool, ball – and wondering if there is any you can do to prepare your horse for that dental work. Great follow-up to a clinic on chiropractory (?) I just attended; my vet got certified and taught us a lot on Sunday. 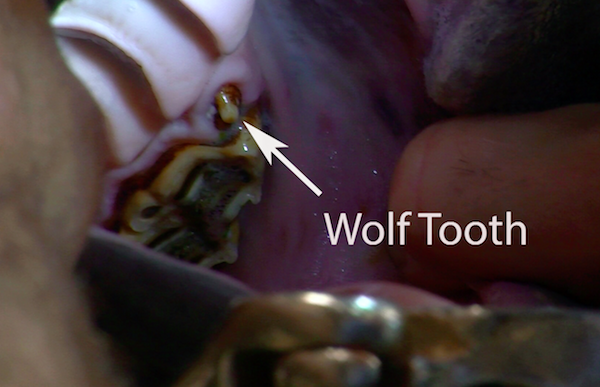 Also liked seeing the pulled wolf teeth – interesting shape! Thank you. I have a mare that grinds her teeth. Her teeth were floated not very long ago. She is a very nervous horse. She was rescued if that makes any difference. I’ve had about two years , doesn’t grind all the time though. Its interesting that you point out the grinding of teeth which can be a very nerve racking sound depending on the horse it is coming from. I went to Rawhide Ranch growing (a wonder children/teen horse and livestock camp) and one of the horses there would grind her teeth whenever she was around another mare. They bred her and got a stocky paint colt out of her who learned the habit. I got to be a part of the early training process with him and any time another horse got too close or he really didn’t want to do something you’d hear him grinding away even though he wasn’t being pushed to fast or had any underlying conditions. Mary, I can see how that could happen. Habits, habits, habits. I had an off the track Thoroughbred mare that would also grind her teeth whenever another horse would get too close to her. That is the only time she would grind her teeth. I am 54 years old and have rode horses all my life. I have never heard of a horse chiropractor before, but I see, after watching this video where one might be needed. Thanks for posting this Stacy. I see that I am still learning after all these years! My Horses love there Chiropractor. Horses are like Humans………………there Athletes and Athletes get out of Adjustment!!! Mine slobber and smack there gums it’s really funny to watch.